If Birmingham's Christmas Market is a bit much for you, then why not try some of these alternatives? 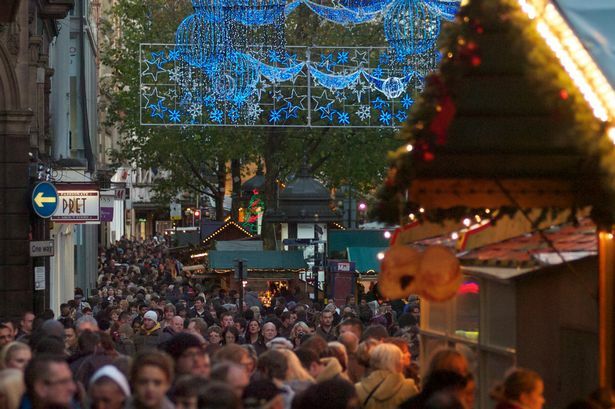 Birmingham&apos;s Christmas Market has become a mecca for visitors and tourists coming into the city over recent years and has enjoyed massive growth. But it is not all the city has to offer people at this time of year and, as Small Business Saturday campaign day approaches this weekend, there is plenty more to enjoy away from the crowds around Victoria Square and New Street. Following the first stage adaptation of Hoffman&apos;s &apos;The Nutcracker and the Mouse King&apos; in 1892, the mesmerising story of Clara&apos;s magical adventures alongside her Nutcracker doll has travelled the world to become the single most popular Christmas show of all time. Birmingham Royal Ballet has brought the show to the Hippodrome which runs until December 13 and features Magic Circle magicians. A relaxing, and much smaller alternative, to Bullring, the arcade in Colmore Row is a hive of independents. Among the many shops and business are hamper seller Anderson and Hill, wine specialist Loki and trinket and accessory stockist Handmade Boutique. A recommendation for festive feasting this Christmas is Harborne&apos;s The New Inn which this month will be serving three-bird roasts, 28 day dry-aged rump steak and herb-crusted hake loin among other delights. It is the return of the Seasonal Market to The Bond in Digbeth on December 6 with the highly anticipated Winter Market from midday to 6pm. The day can be spent drinking cocktails, sampling some of the best street food in the UK, courtesy of Buddha Belly, Low &apos;N&apos; Slow and Meat Shack among others, and perusing an indoor market packed with local artists and designers. Over the festive period, The Electric cinema in Station Street has introduced a phenomenal film line-up including Bladerunner: The Final Cut, Elf, The Hobbit: The Battle of the Five Armies and The Wizard of Oz. The theatre is fully licensed and serves cocktails and snacks. Located at the top of The Rotunda next to Bullring, Staying Cool run an apart-hotel giving visitors the chance to stay in a serviced flat where they can cook for themselves while enjoying a great view of the city. They have both one- and two-bedroom apartments, with Sky TV and fresh coffee provided by Urban Coffee Company. Over the festive period, Digbeth Dining Club at Spot*light will be bringing an extended edition of their popular street food event. The best street food vendors in the Midlands will be offering racks of slow-cooked BBQ ribs and burgers piled with tasty toppings. Read Independent Birmingham&apos;s full rundown of things to do here.